Mark Singer Remodel. Panoramic whitewater views looking down the coastline to Headlands at Dana Point. Desirable north Laguna location on the ocean side of Coast Highway. Beautiful Spa and resistance pool with a private patio on a street to street lot. This soft contemporary design includes new designer counter-tops in kitchen and bathrooms, two fireplaces and air conditioner with 4 bedrooms and 3.5 bathrooms. 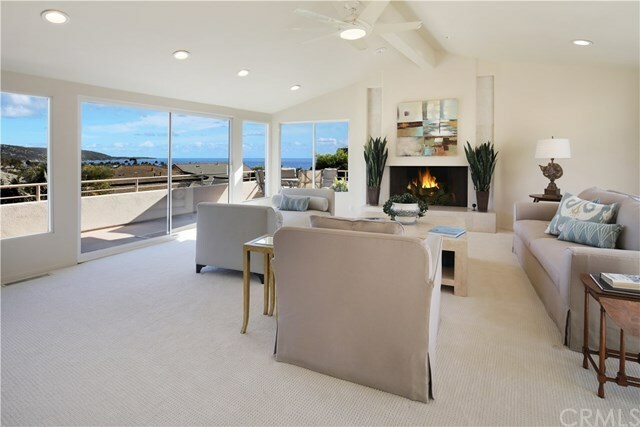 Enjoy the fine restaurants, world renowned art galleries, charming shops, and beautiful beaches of Laguna from this special home.